Colombia elected a new president Sunday. Iván Duque will take office in August, but he faces significant challenges in his quest to toughen a peace accord between the government and Marxist rebels signed two years ago. 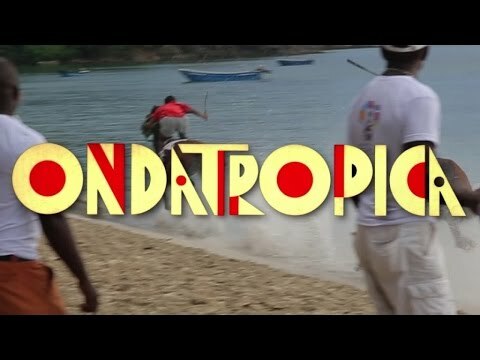 The music of Colombia has long inspired people from across the world, but it holds a particular fascination for Will Holland, the British music producer better known as Quantic. As the crisis in Venezuela deepens, many there are doing what Colombians did during the height of their war. They’re heading to their neighbor across the border for food, work and a better livelihood. Colombians vote this weekend on whether to approve a deal that would end 52 years of guerrilla war. The referendum is diving families, like that of reporter Luis Gallo. Bombastic decor. A 72-page menu. But it's the food that draws people to this restaurant in Bogota. It's all about choice and serving the best Colombian food at this restaurant. But the decor? "It’s sort of like the House of Blues meets Disneyland meets Monty Python." Anchor Marco Werman has details on today's emotional reunion between former Colombian hostage Ingrid Betancourt and her children: the reunion took place in Bogota. Brooklyn, NY and Bogota, Colombia are the answers to our Geo Quiz today. Both cities figure in our Global Hit too. Members of the musical group Monareta hail from Bogota, but spend a lot of time in Brooklyn. The World's Marco Werman was in Bogota, Colombia last week. He speaks to anchor Lisa Mullins about the trip and where Colombians go to buy their music. Colombia intelligence agency, the DAS, has been caught eavesdropping on citizens known to be critics of Colombia's President Alvaro Uribe. That's feeding suspicion that the orders came from the top. John Otis reports from the capital Bogota. A hip Colombian rap band from the Pacific Coast of Columbia has made it big in Bogota. Now the group is proving itself in the US. Anchor Marco Werman speaks with the leader singer of ChocQuibTown. Colombian senator Piedad Cordoba has been banned from public office for 18 years for 'collaborating' with the FARC. Cordoba helped negotiate the release of several FARC hostages but is now accused of exceeding her role as a mediator. John Otis reports. In the Geo Quiz, we're looking for the Moon City. So where is it? For starters it's not on the moon. Host Marco Werman takes us to a restaurant in the Moon City where owner Andres Jaramillo has taken food and entertainment planning to a fine art.